Waste incineration in cement kilns is being put in the spotlight in the European Parliament as concern grows over its impact on public health. For years, the effects of air pollution on public health have been well documented. Increased cancer risk and immune system, respiratory, reproductive and neurological problems have all been linked to air pollution. People living in urban areas have long been aware of the damage polluters such as traffic and heavy industry can have on their health. But fewer know of the issues caused by burning waste in cement kilns, despite the fact this practice is a persistent and growing problem. There are now encouraging signs that is changing. Allowed under regulations aimed at reducing fossil fuel use in the cement-making process, burning ‘substitute fuels’ in kilns – also known as ‘co-incineration’ – has become increasingly controversial, especially in the affected communities nearest cement producers. Understandably, those communities have mobilised against polluters and lawmakers. From a health and environmental risk standpoint, but also from the perspective of waste prevention. Once incinerators are operating, they need a constant flow of waste to continue, so initiatives to reduce waste are discouraged to keep those kilns fed. 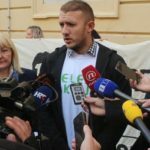 Grassroots protests have had success raising awareness and in some cases halting the practice – notably in Slovenia, where local activism stopped cement giant Lafarge burning waste in its kilns at Trbovlje. Environmental pressure groups have brought the issue to the wider public’s attention as well, but they have achieved relatively little cut-through at a higher institutional level. That has now changed. MEPs representing local affected communities have been seeking answers from the European Commission about the practice; a huge and encouraging step forward in the campaign to change cement manufacturers’ damaging habits and bring the issue into the spotlight. Key issues raised by the MEPs focus on how co-incineration fits in with EU guidelines and regulations on waste and emissions and what the Commission will do to prevent further risk to public health. In April this year, Pedicini and colleague David Borrelli asked the Commission what it will do to protect citizens from a practice ‘that increases the emissions of hazardous pollutants and endangers public health’. Both, alongside MEP Ignazio Corrau, also inquired why refuse-derived fuels (RDF) are not covered by the Registration, Evaluation, Authorisation and Restriction of Chemicals (REACH) Regulation. Pedicini has also questioned what the Commission is doing to safeguard public health in Barile, where the Constantinopoli cement plant has been reported for breaching emissions limits. Meanwhile, Florent Mercellesi of the Verts/ALE group quizzed the Commission over Spanish compliance with two emissions Directives and asked whether this needs investigating. 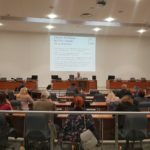 And in an impassioned written question about a permit to incinerate waste in Greece, MEP Sotirios Zarianopoulos challenged the Commission over the EU’s ‘green’ growth and ‘climate change strategy’ that, in his opinion, seeks to open up new profit margins for business corporations and ignores the harmful impact on the environment and people’s health. These pioneering MEPs have highlighted at an institutional level the struggles of local affected communities. And in doing so, they have reflected the tactics employed: challenge the legality and raise awareness. For example, the neighbourhood group Can Sant Joan in Montcada i Reixac near Barcelona has been demonstrating and carrying out legal challenges against the Lafarge Cementos plant there since 1975. 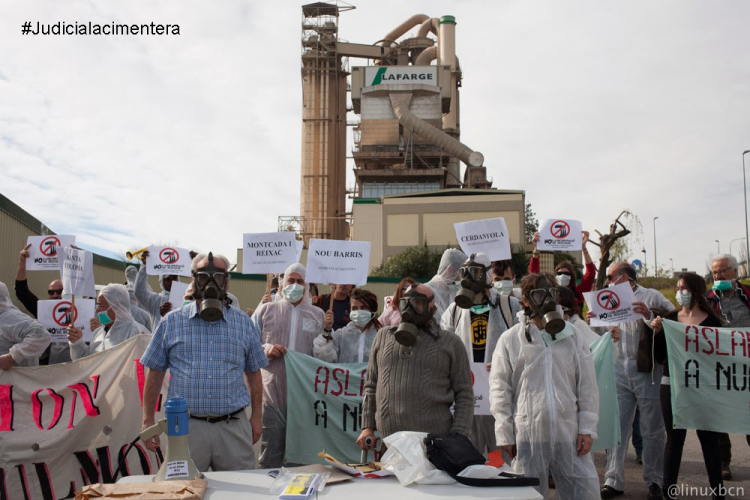 Similar tactics are being used by the group Asociación de Vecinos Morata de Tajuña, which has partnered with national and international groups to publicise the issue of co-incineration and issue legal challenges against the Cementos Portland Valderrivas plant there. There are hundreds more struggles around the world against co-incineration in cement kilns. Delegates from many will attend the Third International Gathering Against Incineration in Apaxco, Mexico on 24-26 November. With an overall aim of finding local and global alternatives to incineration, the forum will discuss technological, economic, environmental and social waste management solutions in a series of talks, workshops, conference sessions and exhibitions. But what are the alternatives? Cement is already one of the most energy intensive industries globally and co-incineration is currently its preferred method of cutting down on fossil fuel emissions. Campaigners say burning waste in cement kilns is not the answer, arguing that policies and subsidies that support ‘waste-to-energy’ incineration should be shifted towards zero waste and clean energy solutions. One thing is clear: legislators and cement manufacturers have a fight on their hands as the co-incineration issue comes under ever more scrutiny at local, national, international and institutional levels.